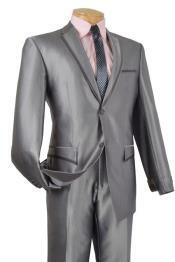 SKU#SM1528 Men's Silver Slim Fit Two Toned Black Lapel Shawl Collar Dinner Jacket Looking! 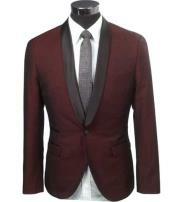 SKU#SM1525 Men's Slim Fit 1 Button Burgundy Two Toned Black Lapel Satin Shawl Collar Dinner Jacket Looking! 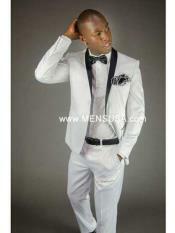 A tuxedo can work for anybody as long as its style suits the body type of the wearer. 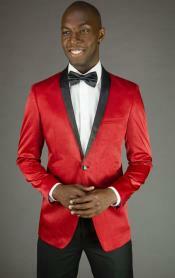 While some guys think that choosing a tuxedo is relatively easy, well, it is not. 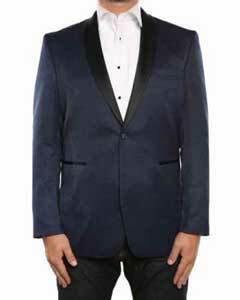 If you want a tuxedo choice that is appropriate for your body type, you have to consider some things. 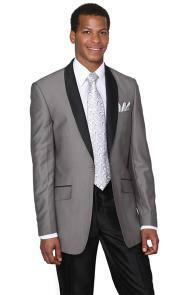 This article offers a few suggestions to help you in choosing that Perfect-Fitting Tuxedo. Basically, you should determine your body type. What you should do is to stand in front of a mirror to evaluate your body type. Determine your best features and those that you want to downplay. 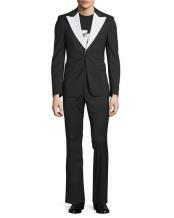 You have to be honest about since this will inform your choice of tuxedo that is appropriate for you. 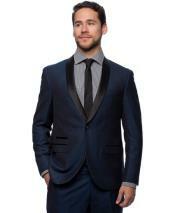 You can wow people and get noticed in a crowd with a slim fit tuxedo since this perfectly fits your frame. 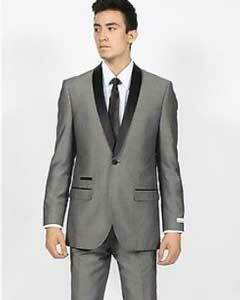 Here are some of the simple rules when choosing tuxedos, specifically slim fit tuxedos. 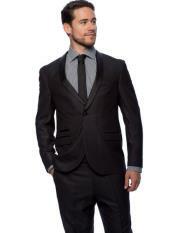 If you are thin and short, make sure that the slim fit tuxedo you choose is designed with a low-button stance. Moreover, avoid heavily constructed tuxedo or a tuxedo with too much material so that it will not appear too bulky for your lean frame. 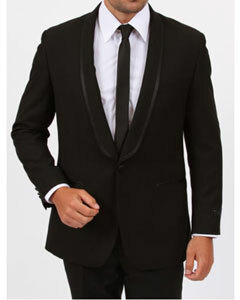 If you are bulky and short, a single-breasted tuxedo will be the right choice for you. It is important to make sure that it is not too tight. 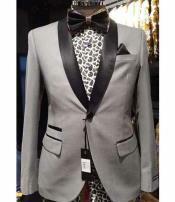 If you are tall and thin, then, you are one lucky fellow since almost all styles of tuxedos will look stunning on your slender frame. 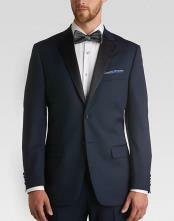 If you are tall yet muscular, finding a slim fit tuxedo that has neat lines and without lots of bulk is the best choice for you. 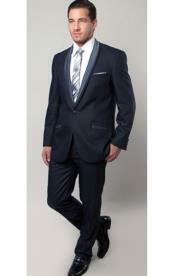 However, it is important to take note of sizing problems and to be sure that your choice is a well-tailored suit. As with dress shirts, you can choose either bespoke, made-to-measure, or off-the rack. 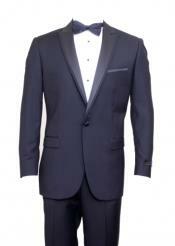 Bespoke tuxedos refer to highly customized tuxedos, made-to-measure tuxedos are adjusted tuxedos and off the rack tuxedos are ready-made tuxedos. 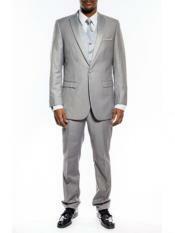 You might consider choosing bespoke tuxedos as these are fitted to your body requirements. This will cost more than made-to-measure and off-the rack, but will be extremely helpful in the future where the custom tuxedo may come in handy. Once you have made a choice on this matter, you are ready to choose a fit. The fact that choosing a fit depends upon the body type of the wearer and his personal preference cannot be emphasized enough. The primary fit styles for Dress Shirts for men are slim fit, extra slim fit, regular fit, and traditional fit. Slim fit dress shirts tailored in the arms, chest, and waist provides for a closer and sleeker appearance. This fit style is not connected in any way with having a slim or fat frame. If you prefer high, tight-fitting, and tailored shirts, you are likely to go for slim fit dress shirts. 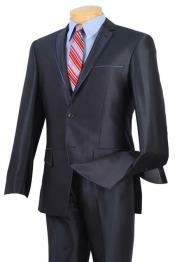 Extra slim fit dress shirts are more extreme variation of the slim fit style. Regular fit dress shirts are often close in appearance to traditional fit of shirts with sides slightly tapered. Traditional fit dress shirts have a box-like cut. 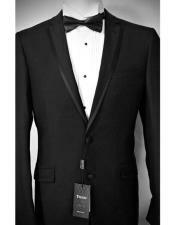 When choosing slim fit tuxedo, there might be the need to try each tuxedo, so that you will know if the tuxedo fits properly. 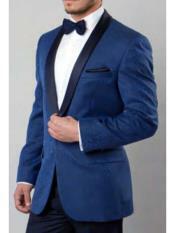 When trying a tuxedo, you have to stand straight and with your hands on your sides. 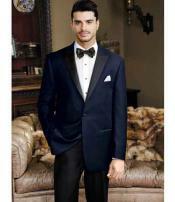 You should be able to move freely even if you are wearing a slim fit tuxedo. 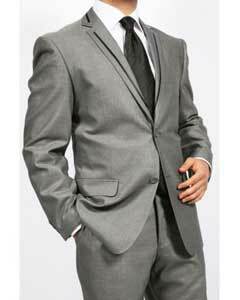 Further, if you want to showcase your slim fit tuxedo in a gentlemanly fashion, here are some facts about tuxedo that would be very helpful to achieve the style you prefer. The collar must lay flat on the back of the neck and on its sides and should have neither gaps nor bulges. The hem at the bottom of the jacket must cover the rear and the jacket vent must not pull open. If the jacket vent pulls open, then, the jacket is too tight. The pants must break through the upper part of the laces. The jacket must perfectly hug the shoulders. A jacket with shoulder pads that extends farther over the shoulders is too big for you. 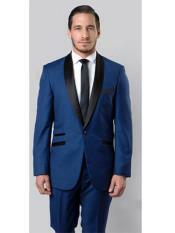 The sleeve of the jacket must be hemmed at the wrist bone. This allows 1/2 inch of shirt to show past the jacket. In general, flat-front pants have a more slimming effect than pants pleated at the front. Less fabric makes the midsection look more flat. 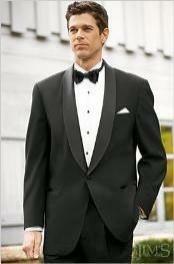 Once you find the perfect tuxedo for you, you may still be able to have it adjusted. 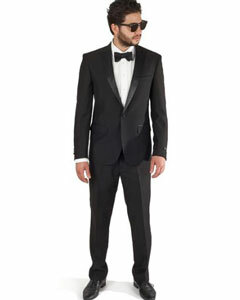 Adjustments here and there can definitely make a good tuxedo fit even greater. 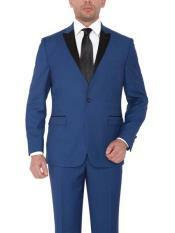 The sleeves and trousers must be hemmed to the right lengths. 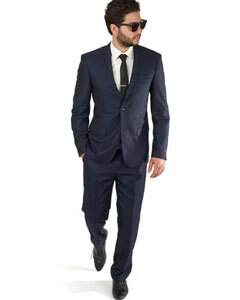 Pants must be also hemmed as long as possible, and it should be angled in the back. Your choice of accessories will also affect your overall appearance. Accessories must be also chosen based on the body type. Cummerbunds must be avoided if you are short and/or stocky. Men with rather muscular necks must avoid skinny ties and high collared shirts. One unexpected way to show your personality without looking weird is through using colorful socks. 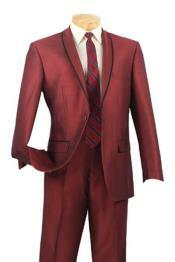 Color creates balance in any wardrobe, but don't overdo it. Of course, this will also depend on the occasion. 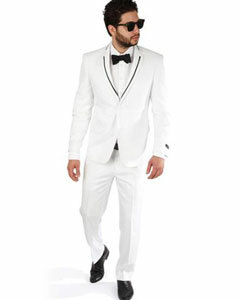 Evidently, the slim fit tuxedo is not for every man, but if you prefer to wear such, you have to consider a lot of things.